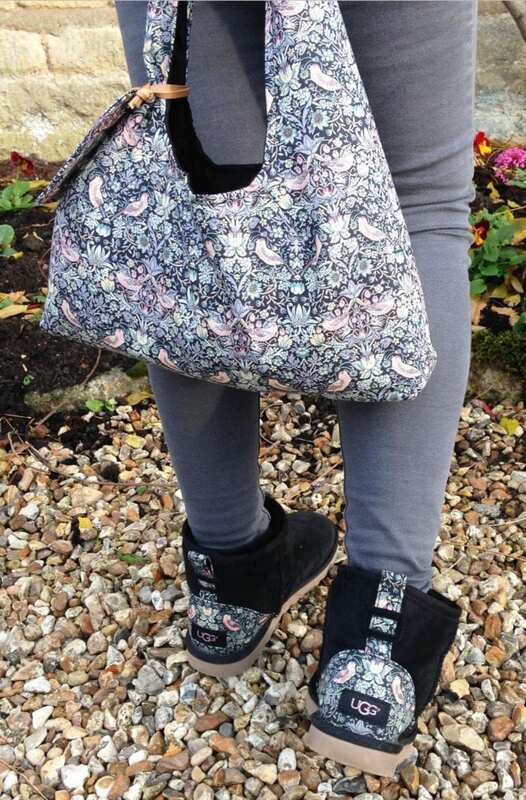 The lovely Dawn from the studio has made this Strawberry Thief Knot Bag to match her gorgeous UGG boots. She has used the colourway Strawberry Thief L.
I asked Dawn about the sewing project. 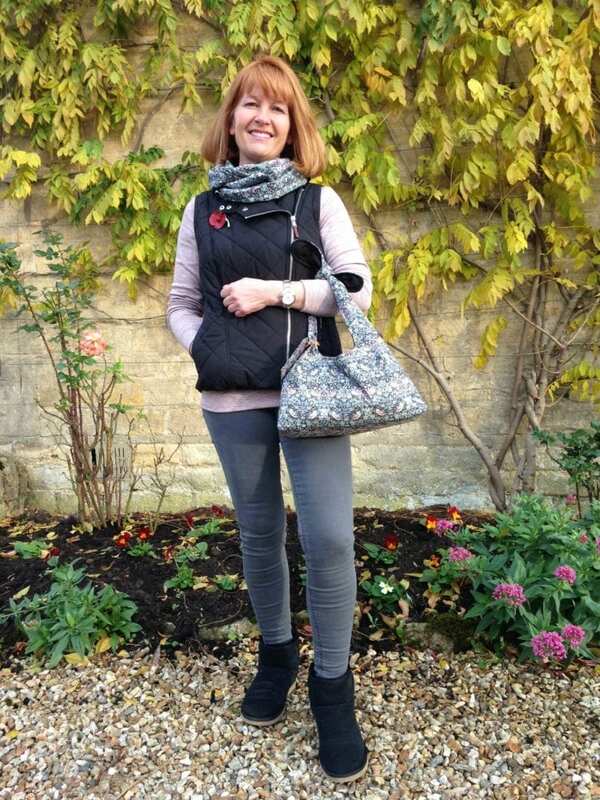 “I really liked the look of Alice’s knot bag pattern and it was easy to decide on the fabric. Strawberry Thief L matches my Ugg boots and a little scarf I made a few months ago! I lined the bag in plain Tana Lawn in black which was a practical choice. I just made a couple of tweaks to the pattern by adding a little internal pocket for my mobile phone, and a rectangular piece of stiff cardboard (covered in some spare material) in the base of the bag to give it a bit of stability. This means it stands up on its own when I put it down. You can buy the pattern here. 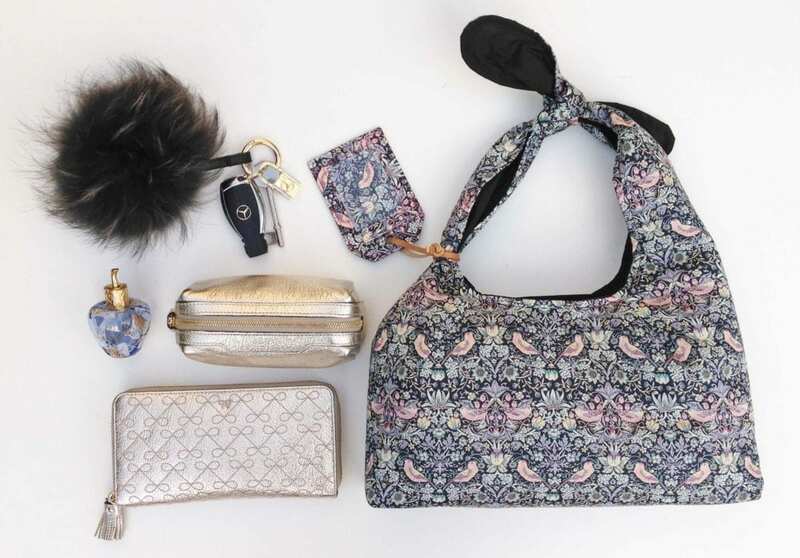 The pattern only uses two pattern pieces which are full size in the pattern instant download. This means that it is a really easy and quick project to make. 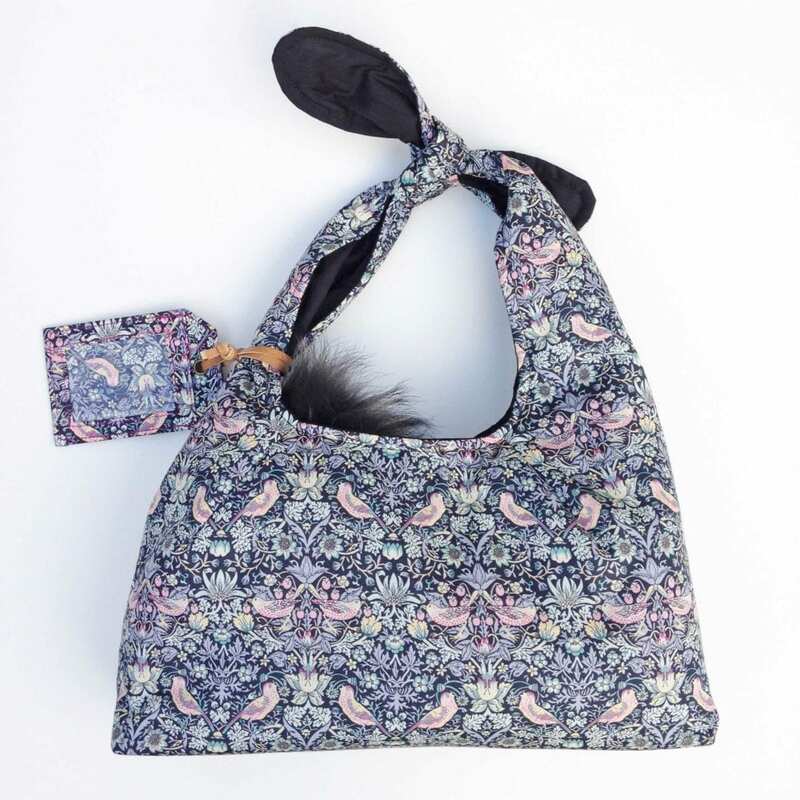 The fabric used is Strawberry Thief L. It’s a classic Liberty print and uses the famous William Morris design that he designed in 1883. It has been a real Liberty favourite since it was printed onto Tana Lawn. I love the fussy cutting on the UGG boot detail. The birds are perfectly placed. I hope this inspires you to sew something new today.